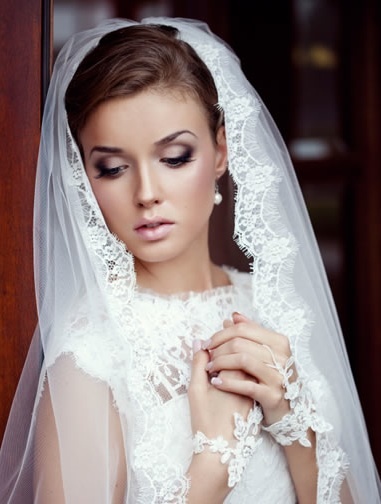 Every bride dreams of her wedding day and wants to look and feel her best! Bridal make up is an important part of bridal dressing. Along with a gorgeous wedding dress a bride’s hair and makeup also needs to be perfect. Unlike your flowers, the cake or wedding cars, your hair and makeup are on show all day long. At Seka’s Beauty Salon on the Northern Beaches in Newport, our wedding makeup artists are more than qualified to cater to the beauty needs of a bride from Eyelash Extensions to Spray Tanning and Bio Sculpture Nails. Our Bridal hair and makeup packages are put together to cater to your individual budgets. Our wedding makeup artists consider your personal style as well as elements like your skin tone and facial features to enhance your favourite aspects. We are known for making our brides look flawless and picture perfect. The products we use for our bridal makeup are of professional quality ensuring that your hair and makeup look stunning, both in person and on camera. Trials are critically important as they help us give you an better idea of your desired look. We know that getting your look ‘just right’ is of prime importance and our team of expert wedding makeup artists have a wealth of experience in beautiful bridal hair and makeup. Making you feel beautiful, as well as confident is our main focus and we will make you look like a princess on your big day. If you are looking for the perfect makeup or hair style for your wedding, our salon in the Northern Beaches has got you covered. Our bridal beauty services are also mobile and we travel on-location for your added convenience. Our goal is to provide you with the best styling experience and you can be assured that our services in bridal hair and makeup are the very best hair and makeup and top quality. Nails in Creme & Light 2 Hour Spray Tan. Products used are professional quality made for the film, TV, photography and fashion industries including MAC, Stila, NARS, Bobbi Brown and Napoleon. Hygiene is extremely important, with disposable tools being used where practical and all other equipment is cleaned and disinfected between uses. On confirming your booking, a non-refundable deposit (50%)is required to secure the date. This amount is deducted from your total fee, with the balance due on or before your event. Please note that surcharges apply to travel, early starts before 7am, public holidays, and for car parking in the inner city and restricted locations.